You step closer and confirm. Yup. Faces. What about this hole with a rock in it? Does this tell you how the faces formed? 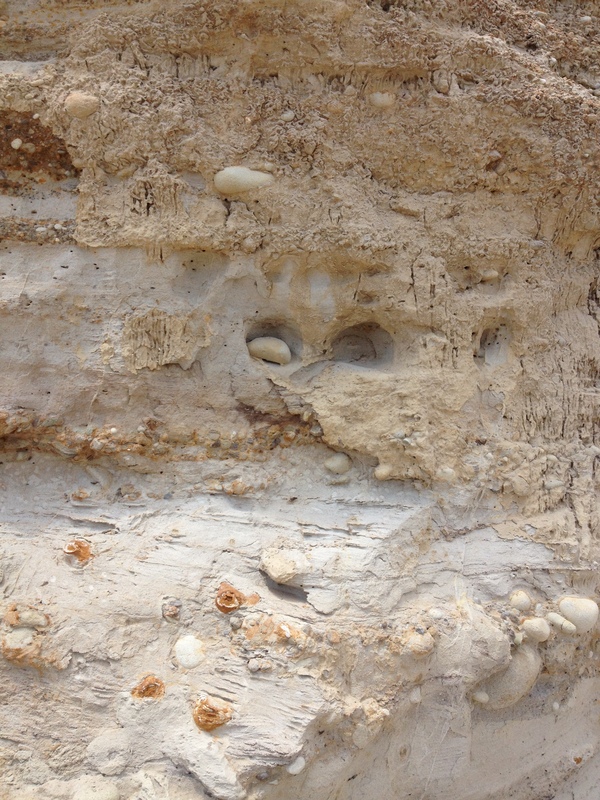 Is this rock emerging after erosion? Or did Mom call Junior to come along, before he finished digging out one last face? 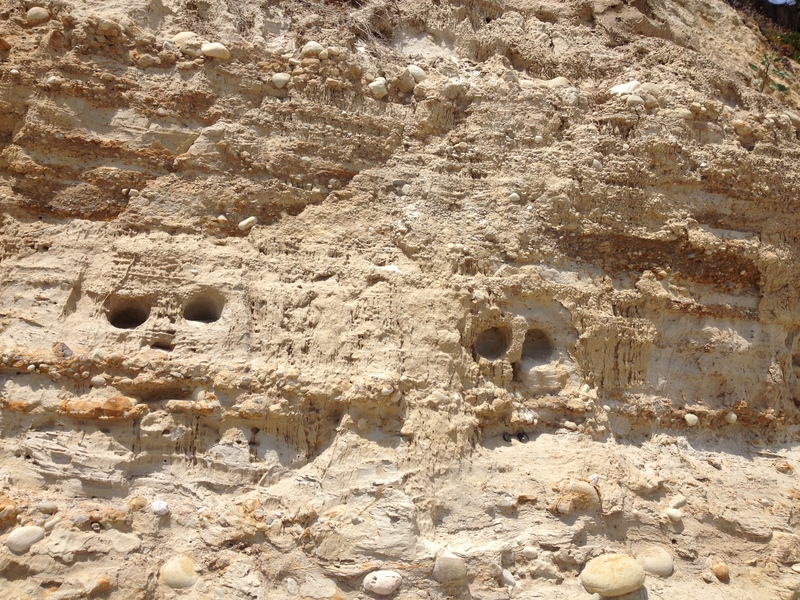 1) Are these accidents of erosion that coincidentally look like faces? 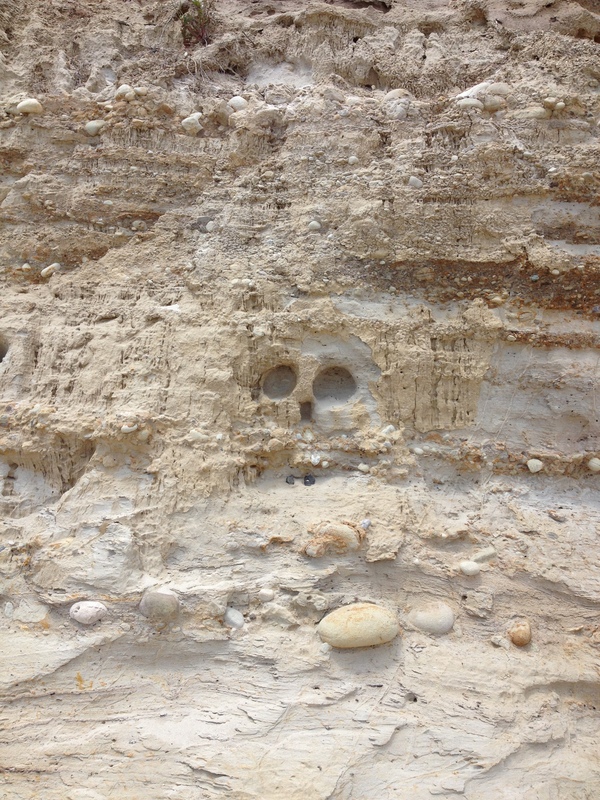 Or did some beachgoer dig out rocks in an act of 3D graffiti?… or …. 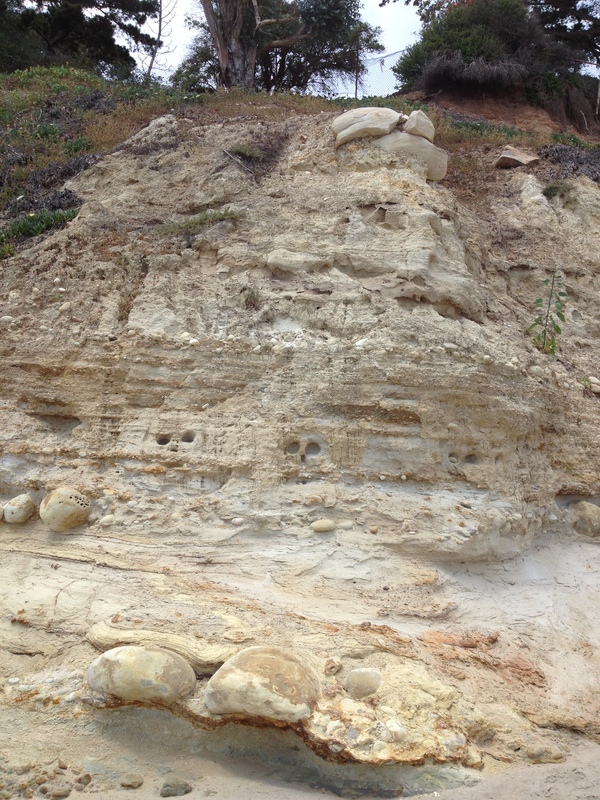 2) Or — do these suggest creatures escaping from the rock? Or have I been spending too much time in the universe of my new book series, FRAMES? 3) Are these faces cool, or creepy, or c), both of the above? The WP Weekly Photo Challenge topic? Containers. ← Four Answers, Then Tag, They’re It!